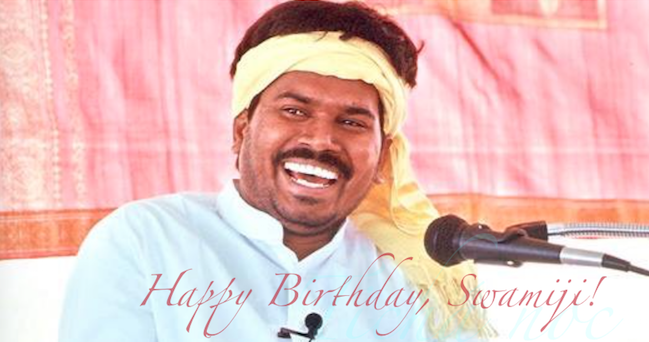 With words of Sri Kaleshwar recorded 2008 in Penukonda and stories by some of his senior students we want to say Happy Birthday, Swamiji! Thank you from our hearts for all you have given to us: Your love, the highest spiritual knowledge, transforming processes, opening of our hearts and a community of wonderful people. 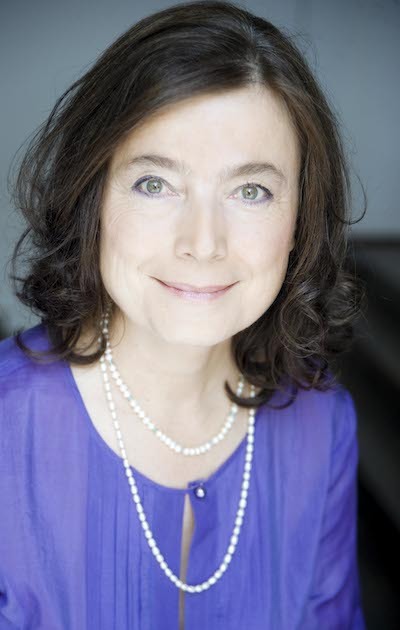 I am Claudiha-Gayatri Matussek and I met Swami during his first visit in Germany in 1998 at Starnberg Lake. He gave me a coconut and told me something would be materialized inside and during his next visit - so his promise - he would open it for me. That same year I began charging the Five Element Mantras. Shortly before Christmas Philip Lipetz taught them. During Swamis next visit in Europe he asked me personally if I’d come to India. Health wise I was not feeling well but what to do? Yes, of course! And in addition he hooked me with a ring and his promise he would open the coconut in India. Helmut and I went for the first time to Penukonda, India for the Christmas program in 1999. At the last day of our visit in January 2000 he opened the coconut which I was protecting as my treasure since 1998. Since then we went every year to India, at least to attend the Shivaratri and Gurupurnima programs, and always stayed for several weeks. Some years I even stayed for a few months at the ashram. So I did most of the programs Swami gave in Penukonda. In addition I participated in the processes Swami gave here in Germany, in Switzerland and in London. Since Swamis Samadhi Helmut and I travel once a year to Penukonda. 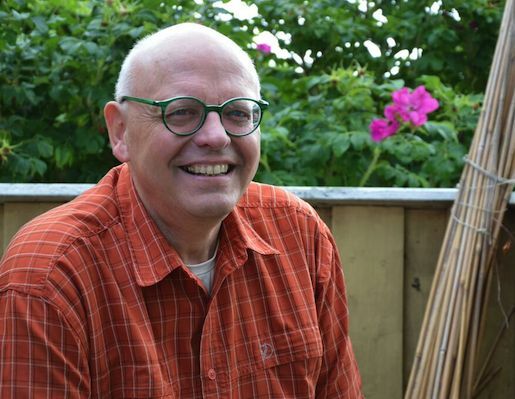 My name is Rolf Blechschmidt and I am 60 years old. In summer 2000 in a very unusual way, my attention was hooked by a young Indian teacher. In a neighbouring village meditation courses were beening offered, which my wife Susanne felt especially pulled to. She visited a course and after a few sessions she brought back a small book which I did not give much notice to at first. Next morning I was dealing with a dream whose content is a different story. A (the) book was laying on the breakfast table and when I looked at it I didnt even trust my eyes: A young Indian man was on the cover - that same young man whom I dreamt about last night so intensivly and real. My teacher had found me. 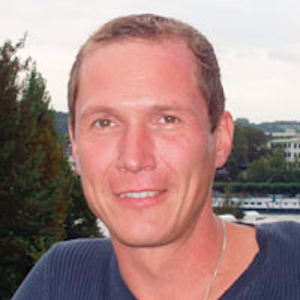 Later Clint Thompson, today better known as Nityaananda came to Germany and gave a seminar in that village nearby - my first contact with a new world of mantras, malas, Indian mythology and traditions. They were the teachings of Swami Kaleshwar. In 2001 I took the task to translate the book “Awareness of healing” by Nityaananda into German. I never did such a thing before. And so I had my first big process. I translated by night until the early morning hours and I learned how the master is supporting, because without this support I would not been able to do it. From 2003 onwards my role was to develop and operate the audio and video technology for Swami’s Europe events. And again my wife gave the crucial impulse. I had been thinking intensely how I could support this incredible man from India, in having an appropriate appearance on the stage. Well, the solution was to have a video projector and a huge screen, so Swami was seen from the last seat. The essential technology was found by my wife by accident during a shopping tour. So not only the solution for the problem was found, I also had the necessary equipment at hand. This event in 2003 in Bruchsal, Germany was the first time I met Swami personally. Also this time he demonstrated his mastery in its entirety. During the break after his first talk Swami gave out personal mantras and blessed a few students with Vibhuti. I was walking through the hall to control the technique but in my mind I was busy contemplating about something Swami had said and this was that one should test a master before surrendering to him as a student. So while I was looking at him from a far, a perky test came to my mind: If he was who he pretends to be I should be able to reach him with my thoughts! So - I addressed him in my mind - and Swami reacted! He stopped his activities, stepped two or three steps back and looked through the room until he saw me. He waved his hands and I could her his voice without him moving his lips: “Yes, I am here…” I had to sit down. I was home, my master had found me! With one exemption I was part of all of Swamis European Events and also during my processes in Penukonda and else where in India I was gifted with so many extraordinary experiences. And even now after more than 15 years, I still experience “Yes, I am here…” And this will stay. And gratitude for my lovely wife Susanne who was always supporting me. My time with Swami began in February 2007 - Shivaratri in Penukonda. I just wanted to sneak in and meet a true master. The tears I cried when I had to leave again showed me how impressed my soul was and what a longing was there. I had a few months to be back at the ashram in time for the second year of the Soul University, starting Guru Purnima 2007. With Swamis “Yes, you can come” all planning and preparation was effortless: Terminating the rental contract for my Apartment, finding a new home for my pets. Beautiful people taking care of my furniture. A great team supporting me to take a one year break from my work so I could have jumped back in without a problem. Money was there and so I started my studies in Penukonda right in time on Guru Purnima. With the extension of the soul university one year became four years: a lot of group processes, miracles, highest energies, healing, joy, knowledge, love, feelings of beeing totally drained, sleepless nights and many more challenges and gifts. Not to forget the many Friendships around the world and intensive connections to other group members with whom I went through thick and thin through the highest energy channels - guided by Swami. Unforgettable. Bhajan Recording “Jaya Jagadisha Hare” [DOWNLOAD] sung by Vasu used with permission of Shiva Sai Mandir Music.